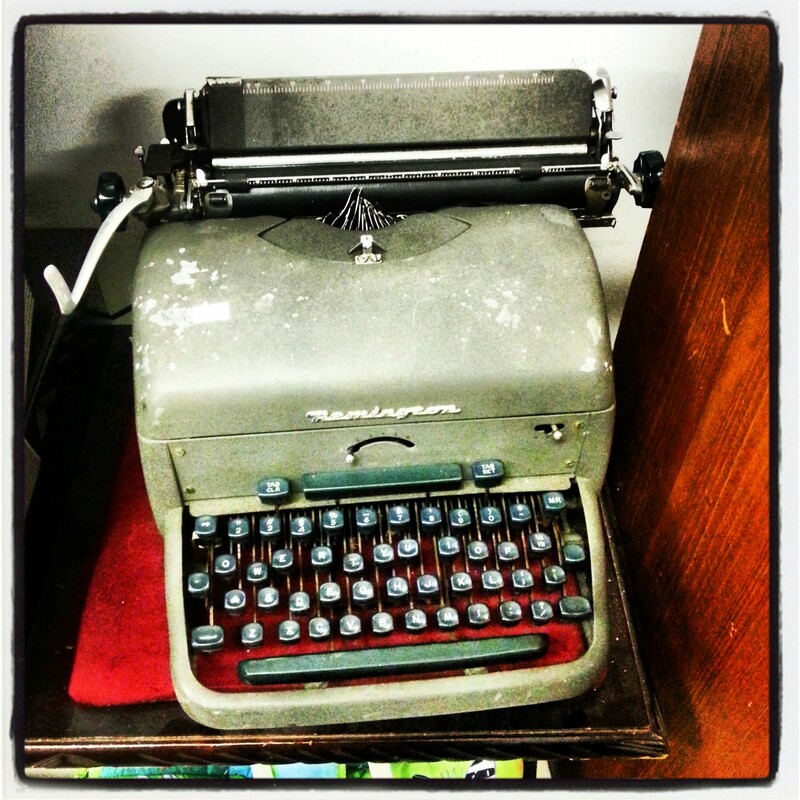 Is Generation Lost like this old typewriter? Perfectly functional but unusable? My very first full day’s work started at 7am, in the cold clinical lighting of a giant underground kitchen. I was using a large butcher’s knife to chop a full-bodied, cold, slimy calamari into tiny dices for the lunch buffet of a prominent 4 star hotel on the outskirts of Paris’ CDG airport. Fighting nausea, shock and homesickness, I was also being yelled at by the head chef for not cutting small enough dices and not going quick enough. By the time my work experience was done 6 months later, I had brulee-d the tips of my fingers with a crème brulee dish, spilled a lobster into a customer’s lap during an ill-fated understaffed seafood themed night and been told in no uncertain term by a senior male supervisor of the front desk that if he saw another un-made-up rosy cheek or a whisp of unruly hair escaping, he would fire me on the spot. I spent those 6 months in the limbo wasteland that is the airport zone, sleeping in a motel nearby, learning the tricks of the hotel trade and wishing I could go back to school. I took the 7am train home the minute my 6 months were done and bid goodbye to the underbelly of Paris with a grateful heart. Unsurprisingly, I never went to hotel school. But I was paying my dues. I was very young, very female and starting my career in the hierarchic, pre-social-media world where youth was eyed suspiciously. In the years that followed, I made it my mission in life to ditch the youth and join the ‘old’ club. I secured jobs well beyond my years, played the corporate ladder games, deferred to bosses and reporting structures and studied at night whilst I worked those jobs to waste no time. When I graduated at the age of 26 with my undergrad degree in one pocket and 7 years work experience in the other, I felt I had achieved that goal. I’d played my cards right, ditched the ‘youth’ card and was one of the big boys. Web 2.0 dusted off the stuffy hierarchic workplace processes for good, by giving everyone a voice. Anyone browsing the creative or business job market nowadays or attending hip and happening events like the Web Summit will have noticed that youth and confidence are coveted assets and not something to be curbed. Gone are the sharp suits, replaced by sneakers, foppy hair, thick-rimmed glasses and shrugs. Forced deference is no longer required to the archaic generations that preceded us. Hell, when I’m being lectured by a successful 13 year-old on a stage, I know the tables have turned. Nowadays, it’s not about how old you are or about paying your dues by climbing the obligatory ladder one rung at a time, it’s about having something to say and saying it right – on Twitter, Instagram, Facebook, YouTube or Reddit, preferably. One browse at Ireland’s current job market will show there are great entry-level job opportunities out there for young graduates with ambition, with no shortage of companies where you can lounge on a beanbag, eat Ben and Jerry’s and brainstorm over table-tennis at any hour of the day or night. This new world doesn’t have time for suits and structure. And while I can only rejoice that my children will have an easier time breaking glass ceilings of all sorts, I do wonder in fact if this new world is leaving a bunch of people behind. Those who came of age just before the internet did, started their careers the old way and are now adapting to the new way. You know the profile: currently between 30 and 40, having a first career crisis perhaps and finding that they are just not hip enough for the new employers and not conventional enough for the old-school ones. The ones who use Facebook to share memes that are already so ten-minutes-ago, tweet in full sentences about business matters and think Snapchat and Vine sound like a weed in the back garden. When I hear some of my peers, who engage in social media in a very tentative or dismissive manner, talking about their experiences on the job search in this day and age, I wonder if I’m witnessing the emergence of the lost generation: stuck between Gen X and the GenY millenials, do we have Gen L: lost, trying to be hip but not really happening? Monica Heck is a bilingual freelance writer and journalist based in Dublin, Ireland.